FOUR miners have died in a mine accident at Mopani Copper Mines (MCM)’s South Orebody Shaft in Kitwe after being trapped underground. The miners, who are yet to be retrieved, met their fate on Sunday night when a rock fell on them. 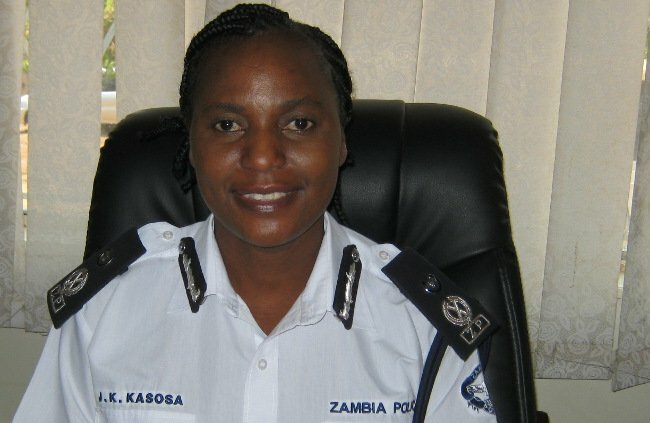 Copperbelt commissioner of police Joyce Kasosa and Mineworkers Union of Zambia (MUZ) acting general secretary George Mumba confirmed the incident in separate interviews yesterday. Ms Kasosa said the bodies were still trapped underground and would only be retrieved after two days. She said the incident happened on Sunday around 23:00 hours, about 3,340 metres underground at MCM’s South Orebody Shaft. She named the victims as mine operators Emmanuel Kyongola of Chamboli, Honest Mushota (Nkana East), Arnold Mambwe and Abel Mutali, workman, of Ndeke township. “The bodies of the four miners are still trapped underground and are likely to be retrieved after two days,” Ms Kasosa said. And Mr Mumba said MCM’s rescue team and engineers were working round the clock to retrieve the bodies. “The mine rescue team and engineers are working round the clock to try and retrieve the four bodies. There were 94 miners on night shift but 90 have been accounted for while four are yet to be accounted for,” Mr Mumba said. Mr Mumba described the incident as unfortunate. A check by Daily Mail at South Orebody Shaft yesterday found tight security as arrangements were being made to retrieve the bodies. Chabipa may their souls rest in peace. This is why we encourage people to give their lives to God because we never know what tomorrow brings. Am not saying these people were not Christians am encourage you the read of my blog to consider giving your life to Jesus if you’re still living in sin. Blessings and comfort to the families. may the almighty God strenghten the families. MSD Inspectors are to blame. They have turned their jobs into money spinners instead of averting accidents. To day one does not need to read for a blasting licence all you need is pay some money and the document is yours. Companies are getting away with mediocrity because Inspectors who are supposed to enforce the law are compromised. Ba LT this is sad news why put a smiley Joyce Kasosa’s face? Thank you for flagging this up. When one mine dies at a chinese owned mine, its poor safety standards, when four people die at Mopani, it is unfortunate they have died. No safety issues raised. I hv often wondered why police are engaged at this stage as if it is a traffic accident or something of that nature….for a mine accident I expect a mines spokes person or mines superintendent or head of mines safety or rescue team to brief the nation…. even a govt official would be appropriate……and certainly not the police……until it is established that some criminal activity were suspected..
…my heart goes to the children who are wondering why their daddy has delayed this time bringing them akampompo….sad indeed….. Sad development indeed and may the Lord God give strength to their families. The picture of the smiling Copperbelt commissioner of police is misplaced though. Just thinking…..
Imwe naimwe ba LT. You are announcing a tragedy and you have a picture of a smiling woman. I have never been a fan of Mopani. I am not sure how effective the Mines Safety Board and Pnemoconiosis Bureau are today. During ZCCM these bodies provided great checks and balances. God have mercy. Ba LT, is it 3, 340m or ft.? Who’d go to such depths 3, 340m? Why exhume people only to bury them again? Just leave them there to RIP. Gov’t must shut these mines down. We are not getting best out of them. The mining companies are literally getting away with murder. Enough. These foreign owned mines see Zambians’ lives as indispensable. Because of our poverty, they assume that we will GIVE OUR LIVES…FOR A FEW KWACHAS. Does the mines inspectorate have the gumption to do something? mine owners likes leaning about safety when some thing bad happenes,they dont put safety measures in place unless their see something like this.